Vassalboro School Board members continued work on their 2019-2020 budget request at a special March 4 meeting, despite still lacking major figures. Board members do not yet know what the state subsidy for schools will be this year, as state legislators consider which of several options they can afford. Superintendent Alan Pfeiffer said since the subsidy is based on the number of students, Vassalboro’s continued slow decline in school population will limit gains if legislators approve a higher subsidy. Also uncertain is the amount needed for high-school tuition. Pfeiffer expects the amount will be around $3 million, a substantial part of the total budget. Last year Vassalboro’s school budget was about $7.7 million. Smaller unknowns as of March 4 were insurance costs and prices for heating oil and bus fuel. Pfeiffer pointed out that if the legislature increases the minimum wage, school spending is likely to be affected. Other legislature proposals could also change state or local school spending. A pending local change is that the grant funding the pre-kindergarten program at Vassalboro Community School ends this year. School officials intend to continue the program, using money left over from the current year and anticipated state reimbursement. Lacking major numbers, board members and school officials discussed smaller items, like Principal Megan Allen’s offer of about $8,300 reductions in new teaching-related expenditures. Board Chairman Kevin Levasseur estimated that only about 30 percent of the school budget is subject to the board’s and voters’ discretion; the rest is fixed by contracts or necessity. He anticipates an increase in the total budget, no matter how closely board members study it. The board’s next meeting is scheduled for Tuesday evening, March 19. A joint meeting of the School Board and Budget Committee is tentatively scheduled for Tuesday evening, March 26, at the school. China Planning Board members have unanimously approved an enlargement of the China Middle School gymnasium. RSU (Regional School Unit) #18 Superintendent Carl Gartley said he hopes work will start as soon as school ends in June and be mostly done when school reopens in September, though it might run into October. At the Feb. 26 China Planning Board meeting, Gartley, engineer Blaine Buck, of Cordjia Capital Projects Group, and architect Mike Sealander, of Sealander Architects, presented project plans. The addition will be on the west side of the gym, toward Lakeview Drive. It will run the length of the existing building, about 86 feet, and extend the building west about 26 feet. Sealander said it will cover the existing grass strip, but will not affect parking; the existing sidewalk will probably be “chewed up during construction,” but it will be replaced. The new space will house a new stage, two teachers’ offices and a practice room, plus a storage room and under-the-stage chair storage. There will be room for bleachers in front of the new stage. The present stage and related rooms will become boys’ and girls’ locker rooms and provide additional bathrooms and a shower that Sealander sees being welcomed by referees. Gartley said the middle school building is slated for additional work as separate projects, including providing LED lighting indoors and outdoors, repairing the roof and updating the air handling system. Funding will come from the RSU #18 bond issue voters approved in 2018, he said. Planning board members decided they did not need to hold a public hearing before acting on the application. Gartley commented that redoing the gym has been discussed informally in town for many years, and Board Chairman Tom Miragliuolo observed that there was no audience at the board meeting. Review of the ordinance criteria found the project meets all of them. Codes Officer Paul Mitnik said he is satisfied it also meets requirements of China’s Phosphorus Control Ordinance. The next planning board meeting is scheduled for Tuesday evening, March 26, unless Mitnik receives one or more applications (he does not anticipate any) in time to schedule a March 12 meeting. At their March 4 meeting, China selectmen unanimously approved two Feb. 25 recommendations from the TIF (Tax Increment Finance) Committee. They authorized Town Manager Dennis Heath to negotiate with Susan Bailey to buy her small piece of land across Causeway Street from the boat landing, and to pay a bill from Comprehensive Land Technologies for the new bridge west of the boat landing. The Bailey lot is currently used for boaters’ parking; voters approved buying it to continue the use. Heath said the causeway project account still has more than $75,000 to complete the bridge work, including a final paving coat and changes to guardrails. Another decision selectman made was to approve Heath’s recommendation that the town clerk be designated as the town manager’s alternate should he be out of town or otherwise unable to transact daily business. When Selectman Jeffrey LaVerdiere worried that a hypothetical future town clerk might be less trusted than Rebecca Hapgood, Heath reminded the board that they choose the clerk. In other business, Heath told board members he has ordered new chairs for them, since the current ones are at least 10 years old, and a larger screen and new projector for the meeting room. Selectman Ronald Breton’s request for a new table, round or perhaps V-shaped so board members could see each other more easily, was discussed, but no action was taken. Breton proposed another idea that was discussed without action: recommending a town ban on plastic bags, because so many other Maine municipalities are doing so. LaVerdiere, who owns a retail store outside China Village, opposed a ban; it would increase prices, he said, because alternatives are more expensive. He said he reuses plastic bags as long as they last and commented that when he helps with roadside clean-ups he sees fewer than in the past. Board Chairman Robert MacFarland said if retail-size plastic bags are banned, garbage bags should be, too: “They’re made out of plastic, and they’re four times as big.” His comment sparked a brief non-serious discussion of other plastic items that could be included in any ban. The next regular China selectmen’s meeting is currently scheduled for Monday evening, March 18. China TIF (Tax Increment Finance) Committee members held a short Feb. 25 meeting, with decisions made on two agenda items and absences blocking progress on two others. Authorized Town Manager Dennis Heath to request that selectmen make an offer to Susan Bailey for the small piece of land across from the boat landing at the head of China Lake’s east basin, based on a real estate agent’s opinion of a fair value. Committee member H. David Cotta suggested any purchase be made conditional on state approval to continue to use the space for boat landing parking. Authorized a request to selectmen to approve a payment on the Causeway Street replacement bridge just west of the boat landing. Heath said a little over $75,000 will be left to cover final paving and other remaining work. Committee members expected someone from Kennebec Valley Council of Governments to attend the meeting to discuss KVCOG’s role in the proposed revolving loan fund, but no one came. As committee member Any Gartley explained the plan, China will offer supplementary loans from TIF money to people needing a few thousand dollars in additional resources to open a new business, expand a business or otherwise add to economic development in town. A subcommittee including TIF Committee and budget committee members has been working on the program. They envision a resident filling out an application that is reviewed by the subcommittee and the full TIF Committee and approved by selectmen. KVCOG staff would help with the mechanics of executing the loan. So far, Gartley said, there is no final application form. TIF Committee Chairman Frank Soares is ready to start planning for the second phase of the causeway project, intended to create improved recreational access along the shore between the bridge and the boat landing. However, he is waiting for the return from Florida of committee member Tom Michaud, head of the subcommittee that oversaw the bridge work. 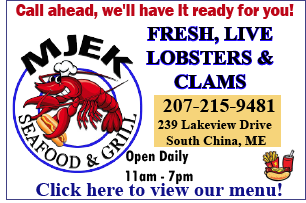 China’s TIF money comes from taxes assessed on Central Maine Power Company’s transmission line that runs through town and the substation in South China. Committee members scheduled their next meeting for 6:30 p.m. Monday, March 25. 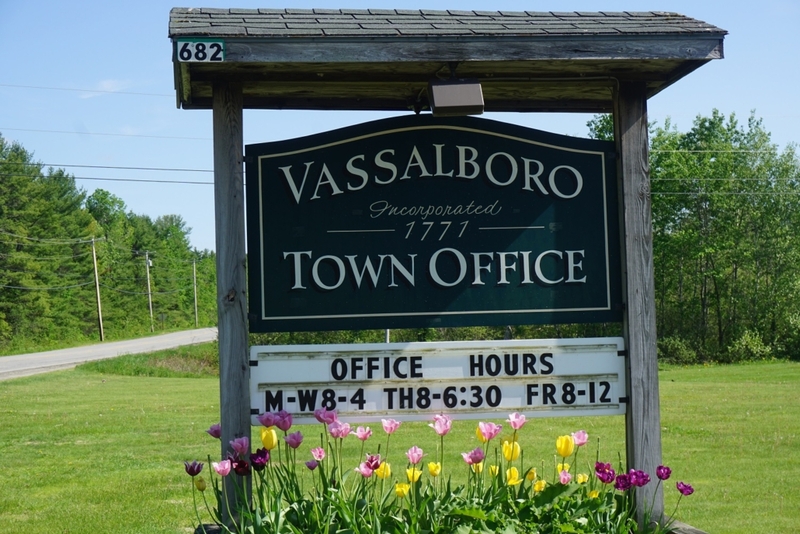 Vassalboro selectmen wrestled with the 2019-2020 municipal budget for three hours at their Feb. 21 meeting. 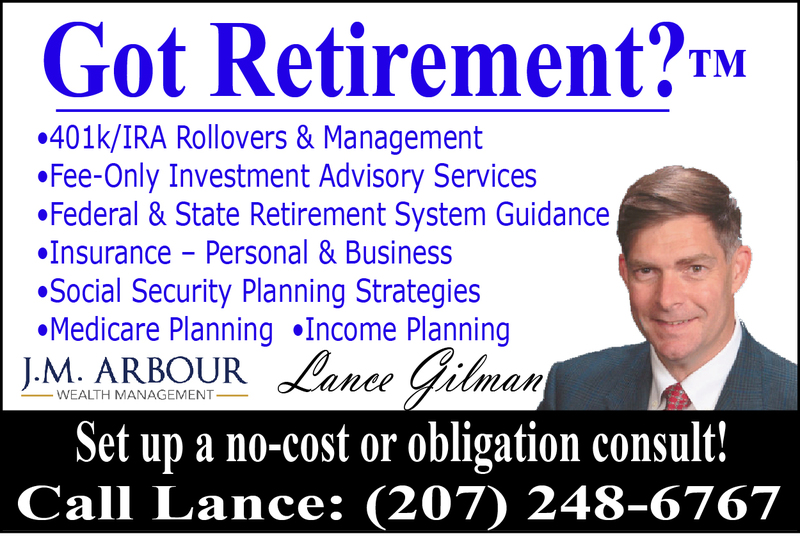 They concluded they were ready to forward it to the budget committee, whose members will review the selectmen’s figures before a final budget goes to voters at the annual town meeting in June. The first budget committee meeting is scheduled for 7 p.m. Tuesday, March 5. On Thursday, March 7, the selectmen meet at 6 p.m. and the budget committee at 7 p.m., the latter to begin discussions with town department heads. Interested residents are welcome at all three meetings. Representatives of the town Public Works Department and the volunteer fire department attended the Feb. 21 selectmen’s meeting to talk about their budget requests. Among the many public works topics covered were paving plans for this summer; repairs to a large culvert on Cross Hill Road, currently on hold while the state Department of Environmental Protection reviews the situation; planned vehicle repairs and replacements; adding a half-time employee, who might also work half-time at the transfer station; and how to make Foreman Eugene Field’s computer talk to his copier. At a future meeting, selectmen intend to discuss sidewalks, in relation to the state’s planned rebuilding of Route 32 (Main Street in East and North Vassalboro). Board Chairman Lauchlin Titus said the most recent proposed date for the project is 2021 or 2022. Board members want to consider the need for sidewalks in both villages, including the possibility of asking that the existing North Vassalboro sidewalks be eliminated. Titus, who lives in North Vassalboro, said they are not used much. 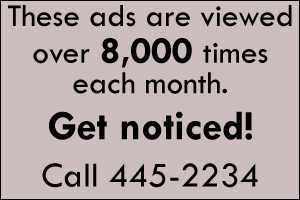 Selectmen made one unanimous decision on public works, authorizing Field to buy a new power washer from Motor Supply out of the current year’s budget without going through a bid process. Field presented five price quotes and expressed his preference for Motor Supply. Another budget topic was salary increases for town employees, which have fallen below comparable averages in the Maine Municipal Association’s salary survey. Titus remembered that a few years ago, selectmen chose a three-year plan to bring salaries up; by the end of the three years, enough other towns had increased theirs to leave Vassalboro again toward the low end of the scale. A decision was postponed for discussion with the budget committee. Solid waste management, another major budget item, was not ready for discussion, because bids for hauling trash are not due until Feb. 28. This year’s bid documents invite bidders to propose alternative hauling methods to the 50-yard containers the town now uses, making costs potentially more variable than usual. Town Manager Mary Sabins said two bids had already been received. Police Chief Mark Brown hopes for a new vehicle, as the current one needs frequent repairs, Sabins said. Selectmen tentatively planned to buy a new vehicle, financing it over three years, and to reduce Brown’s recommended repair budget for next year. Board member John Melrose proposed a brand-new expenditure: $1,000 to refurbish the memorial in East Vassalboro as “a centerpiece” for observances celebrating the town’s 250th anniversary in 2021. China selectmen put a 31-article warrant for the April 6 town business meeting in final form at their Feb. 19 meeting, though Town Manager Dennis Heath made a couple of minor wording changes after the meeting. The town meeting opens at 9 a.m. Saturday, April 6, at China Middle School. At 8:50 a.m. Selectman Irene Belanger is scheduled to make the annual presentation of Spirit of America awards recognizing volunteers in town. Most of the questions ask voters to approve appropriations for the fiscal year that begins July 1, 2019, and ends June 30, 2020. The articles contain summaries; voters seeking details are referred to a “budget book” about 15 pages long that will be part of the 2017 town report. For example, the warrant asks voters to approve more than $686,000 for the administration and administration other accounts. The budget book lists the 42 separate items in the two accounts and the revenues, including taxation, to be used to fund them. The town report is usually available at least a week before town meeting. Town Clerk Rebecca Hapgood said the quorum requirement to open the meeting is 119 registered voters. She and Heath have joked about expecting all 1,241 residents who voted last November not to repeal the town’s Quorum Ordinance to show up at the meeting. Before approving the warrant selectmen discussed yet again the volunteer fire departments’ use of stipends to help defray expenses for members who respond to calls. Selectmen recommends less money for stipends than the departments requested; the budget committee recommends voters grant the full amount. In other business Feb. 19, selectmen approved a consent agreement with Ralph and Linda Howe, doing business as Bio Renewable Fuels at 168 Dirigo Road. The lengthy agreement essentially allows the Howes to continue to operate the business with a state Department of Environmental Protection (DEP) permit, but not to expand it without local planning board approval. The Howes had a DEP permit for the operation when it was in Fairfield, and Heath said a renewal is pending. They also obtained local permits for two new structures and one expansion, he said. Hapgood reported there are two vacancies on the planning board, the alternate seat that can be filled by a resident from any part of town and the District 3 (southeastern China) seat from which Milton Dudley recently resigned. Interested residents should apply at the town office. The next regular China selectmen’s meeting is scheduled for Monday evening, March 4, according to the calendar on the town website. Vassalboro School Board members began review of the preliminary 2019-2020 school budget at their Feb. 12 meeting, despite missing several major pieces. Superintendent Alan Pfeiffer, Principal Megan Allen and personnel from what used to be the Alternative Organizational Structure (AOS) #92 office presented four budget categories: athletics, special services, district technology and health services. At this early stage, the athletics budget is almost $39,000, up $3,600 from the current year; the special services budget is $1.4 million, about $39,000 lower than the current year’s; the technology budget is less than $61,000, down almost $13,000; and the health services budget is over $71,000, an increase of a little more than $1,400. These very preliminary figures total less than $1.7 million. The current year’s total budget as approved at the June 2018 town meeting is more than $7.5 million. Major expenditures not discussed at the Feb. 12 meeting include the total instruction budget, which is tentatively over $2.8 million (including athletics), and tuition. Pfeiffer said he has the state-set tuition rates for the secondary schools Vassalboro students attend, but does not yet have figures on how many students plan to attend each school next year. The superintendent expects the special services budget to increase slightly. “Federal mandates, federal laws, the state – that’s a huge piece” of expenditures, and failure to comply invites lawsuits, Pfeiffer said. Emphasizing that the Feb. 12 figures are preliminary and changeable, Pfeiffer asked school board members to study and think about them. The board scheduled a budget workshop for 6 p.m. Monday, March 4, before the next regular meeting at 6 p.m. Tuesday, March 19. In other business Feb. 12, board members unanimously approved a policy on service animals at Vassalboro Community School. They accepted Pfeiffer’s offer to create procedures to go with a proposed policy on use of video cameras on school property. Three of the residents who attended the Vassalboro selectmen’s Feb. 7 meeting brought specific requests; others came to catch up with local business. Selectmen unanimously approved two requests, with qualifications, and refused to act on one. Holly Weidner, a member of the informal East Vassalboro Village Area Association, asked that the speed limit on South Stanley Hill Road be reduced from 30 to 25 miles an hour, due to the number of houses, some with blind driveways, and the sharp curve before the intersection with Main Street. Selectmen said the first step would be for the state Department of Transportation (MDOT) to review the road and make a recommendation to local officials. They voted to ask MDOT to review the whole East Vassalboro area, including the east end of Bog Road, with special attention to South Stanley Hill Road. Weidner and Janet Babb asked to use the town office meeting room for a weekly Drums Alive class for six weeks. Drums Alive, they explained, is a fitness program for people of all ages. Town Manager Mary Sabins said other groups using the room pay $10 per meeting toward costs of heat, lights and cleaning. Weidner and Babb were agreeable. Selectmen’s concern was whether drumming and music would interfere with discussions at the counter in the outer office. They approved the request with the condition that office services not be impacted. Dylan Dillaway, of 47 Daisies Farm on Webber Pond Road, asked selectmen to put on the June town meeting warrant a Food Sovereignty Ordinance. Other Maine towns have implemented such ordinances, authorized by state law in 2017. They allow the municipality, instead of state and/or federal governments, to regulate production, processing and sale of local food products. Board Chairman Lauchlin Titus expressed concern about food safety. Board member John Melrose asked who among Vassalboro residents would benefit if voters approved an ordinance. Dillaway said he would not – his operation has all the state certificates it requires. Selectmen unanimously declined to act on Dillaway’s request. Sabins said Dillaway’s next step to get an ordinance onto the town meeting warrant is to get 211 voters’ signatures on a petition to selectmen. In other business, selectmen unanimously authorized Sabins to sign an agreement with Central Maine Power Company to convert Vassalboro’s streetlights to LED (Light-emitting Diode) lights. Titus has not yet completed his survey of existing streetlights and areas where new lights might be needed; but signing the agreement will let CMP start ordering the new lights and scheduling the change-over. Sabins said Vassalboro has a 2007 streetlight policy, posted on the town website (under Ordinances/Policies). It defines procedures for residents to request new lights and sets criteria for a no-longer-existent Safety Committee to evaluate requests and recommend selectmen approve or deny them. Board members approved the revised draft of a request for bids to transport solid waste for disposal, omitting reference to recyclables. Before the meeting adjourned, Sabins gave selectmen a first draft of the 2019-2020 budget to review before their Feb. 12 budget workshop. The next regular selectmen’s meeting is scheduled for Thursday evening, Feb. 21. 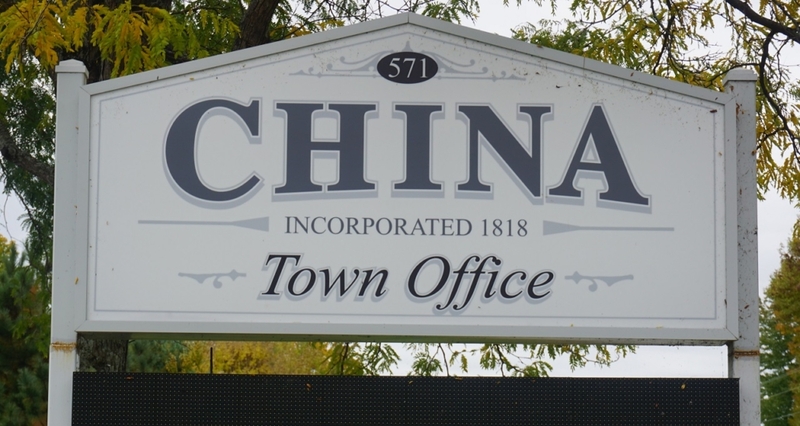 China selectmen completed their work on the warrant for the April 6 town business meeting at a Feb. 5 budget workshop, giving Town Manager Dennis Heath the direction he needed to draft the document. Heath quickly came up with a 29-article draft warrant. The first two articles ask voters to elect a moderator and to approve or reject the annual authorization to exceed the state limit on taxes if necessary. The final three articles ask voters to approve or reject changes to three sections of China’s Land Use Ordinance. Articles 3 through 26 deal with the proposed 2019-2020 municipal budget and the usual associated questions, like setting tax due dates. This year’s warrant omits reports from town committees, which voters have objected to as prolonging the meeting and duplicating information in the printed town report. To further shorten the meeting, Selectman Irene Belanger said she will make the annual Spirit of America awards for volunteerism at 8:50 a.m., 10 minutes before the meeting starts, instead of during a mid-meeting break. The draft warrant was forwarded to the budget committee for its review at a meeting scheduled for Feb. 11 (see related story here). Selectmen made several changes in the draft warrant. They are asking voters to increase their annual stipends from $1,000 to $1,800, a figure board member Ronald Breton said is still below the $1,900+ average for selectmen in towns China’s approximate size. At Breton’s suggestion, supported by board Chairman Robert MacFarland, they reinstated cost-of-living pay increases for town employees and deleted funds for the merit raises Heath had recommended. Heath said a potentially costly legal issue might be pending, so selectmen increased the recommended amount for 2019-2020 legal expenses from $10,000 to $20,000. They added the Crisis and Counseling Center to the list of out-of-town social service agencies requesting town funds. The Center’s request is for $528. Stipends for volunteer firefighters were again discussed at length and both the allocated amount of money and the proposed procedure adjusted. The public works budget saw minor changes. The next regular China selectmen’s meeting is scheduled for Tuesday evening, Feb. 19, because the town office will be closed Monday, Feb. 18, for the Presidents’ Day holiday. China Budget Committee members agree with the board of selectmen on all but two of the money-related articles in the warrant for the April 6 town business meeting. At a Feb. 11 meeting, the six members present voted unanimously to support most proposed expenditures, including the major ones for the town administration, highway department and transfer station. They declined to endorse the selectmen’s request to voters to increase each selectman’s annual compensation from $1,000 to $1,800, adding $4,000 to the budget. Budget Committee Chairman Robert Batteese supported the request; the other five members recommended rejecting it, on the ground that other departments were being asked to minimize expenditures. A more significant disagreement is over stipends for volunteer firefighters, introduced to encourage more people to join China’s volunteer departments and more members to respond to fire calls. At their Feb. 5 budget workshop, selectmen recommended reducing the amount for stipends from $33,000 to $22,700. Representatives of two of the three departments protested the reduction to the budget committee. They claimed that selectmen directed Town Manager Dennis Heath to revise the figure the afternoon of Feb. 5 and acted on it that evening, without consulting firefighters. They learned of the change only when Heath emailed after the meeting, Weeks Mills Fire Chief William Van Wickler said. Van Wickler said stipends have increased the number of his department members who respond to calls and who stay to clean up afterward. Calling for fairness, he said he would like funds to reward those who respond most often, including the chiefs who go on almost every call. The selectmen’s proposed amount would allow each chief’s annual stipend for being chief, but would leave no money for per-call recognition. Selectman Ronald Breton defended the selectboard’s position as part of efforts to control the municipal budget in a year when “the school and the county are gonna kill us.” Neither the Regional School Unit #18 nor the Kennebec County budget is included in the April 6 warrant. Budget Committee members unanimously voted to raise the amount for stipends to $33,000. Their recommendation for the fire and rescue budget totals $181,499; the selectmen recommend $171,199. At the end of the evening, the April 6 warrant had 30 articles. Heath intended to add one more, the usual request to authorize selectmen to apply for grants and appropriate matching funds if needed. Budget committee members unanimously supported adding the article.